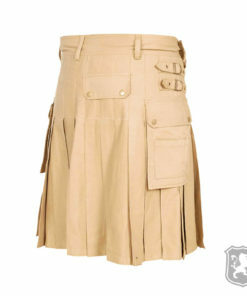 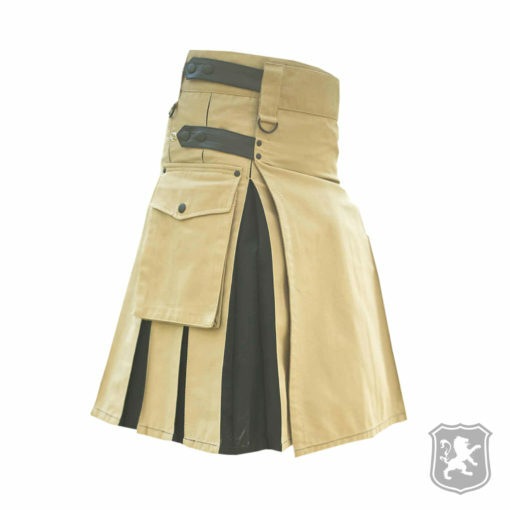 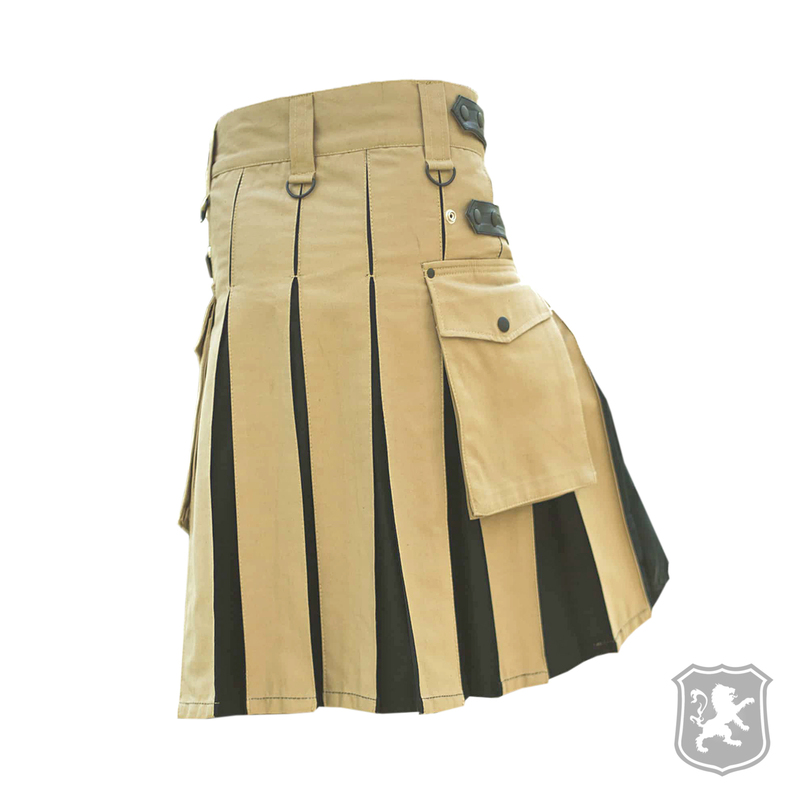 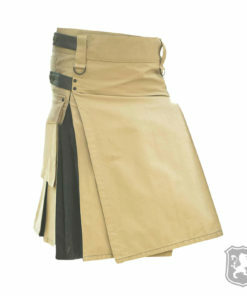 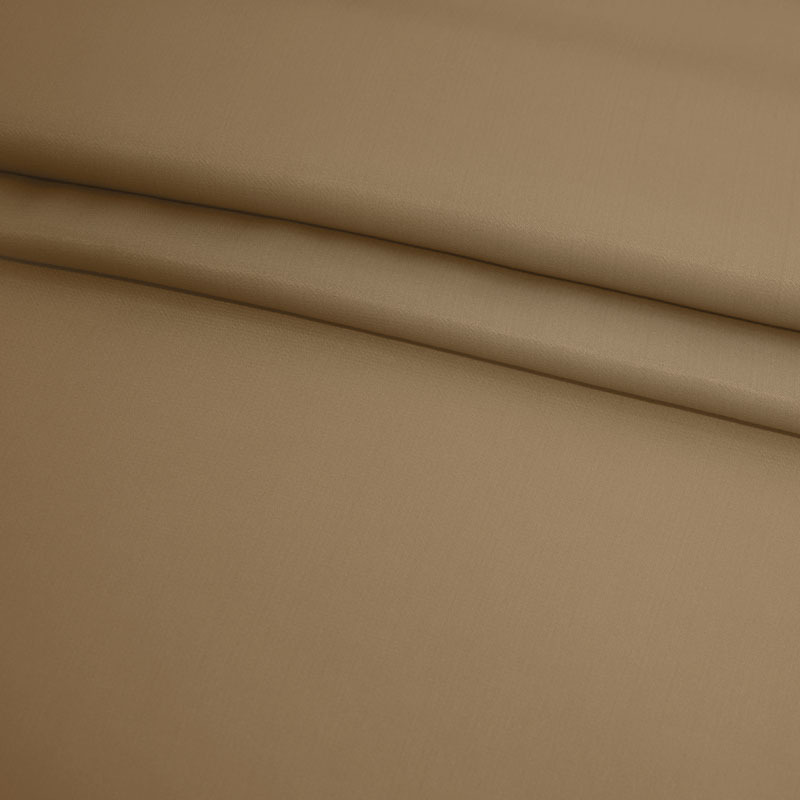 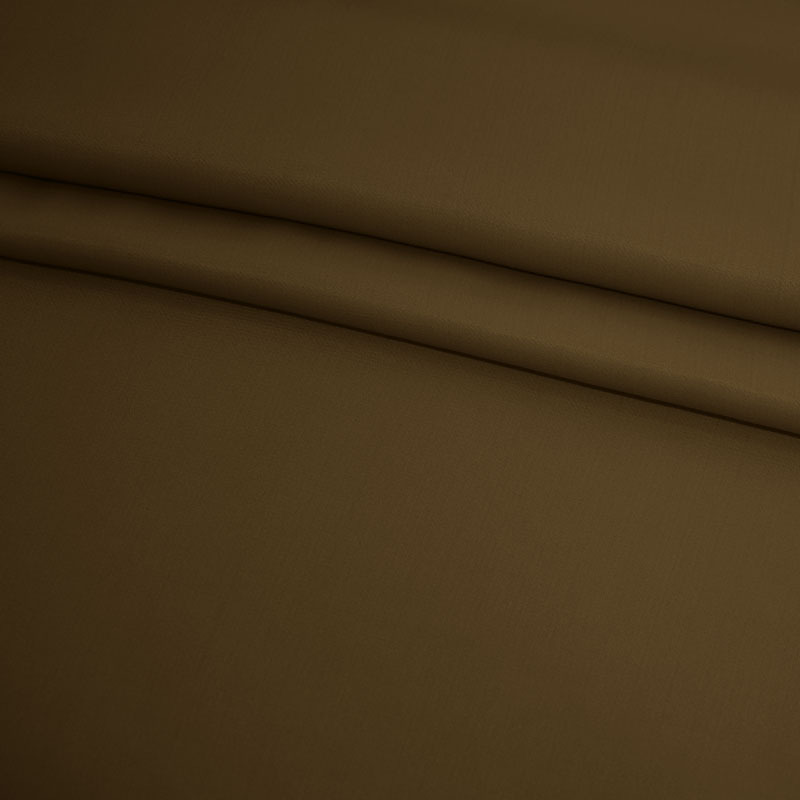 The Versatile Beige & Black Hybrid Kilt is another gorgeous addition to our Hybrid Kilts catalog. 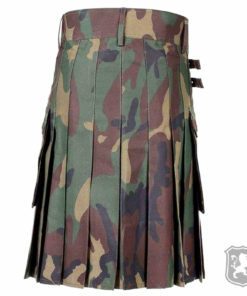 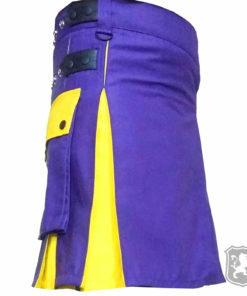 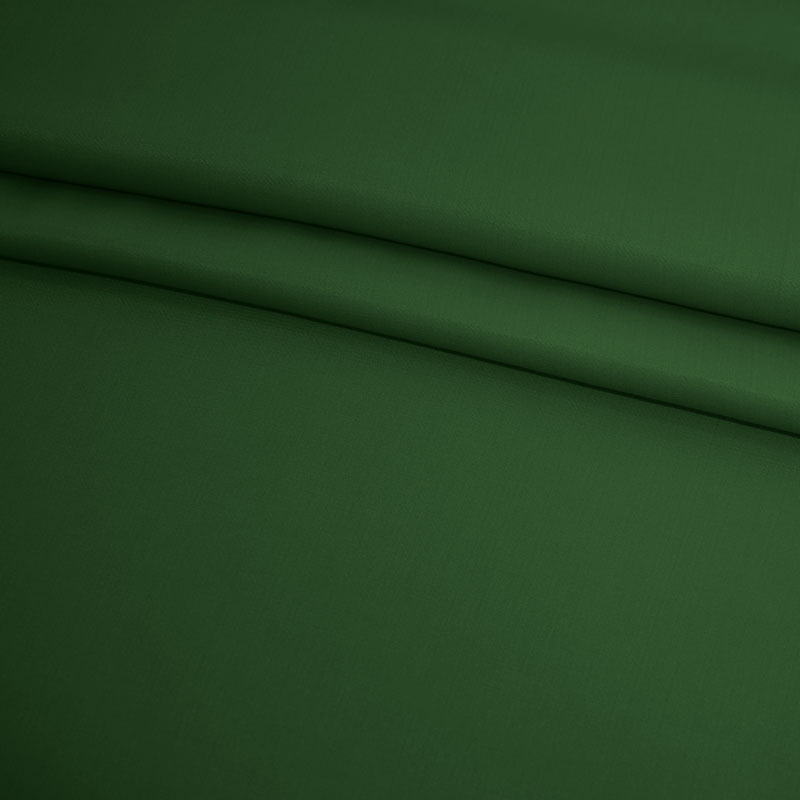 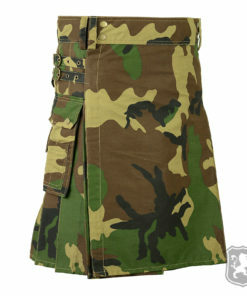 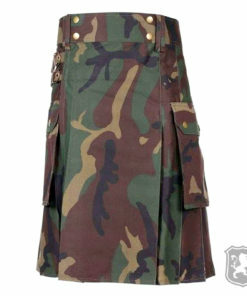 This kilt comes with a perfectly stitched front apron. 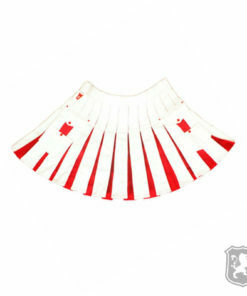 It has two large flap pockets on each side of the kilt. 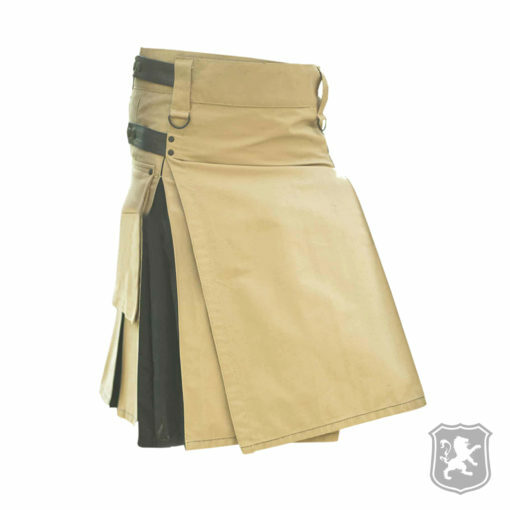 It also has leather straps which allows you to adjust your kilt perfectly. 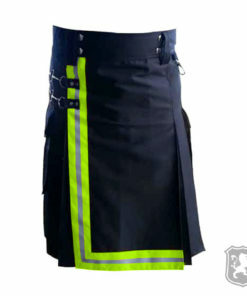 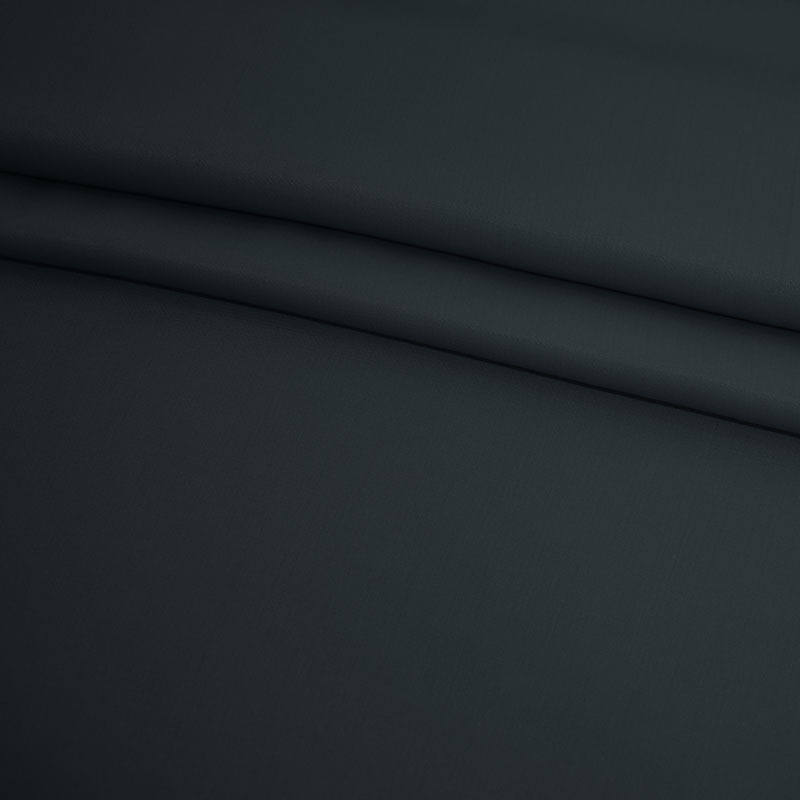 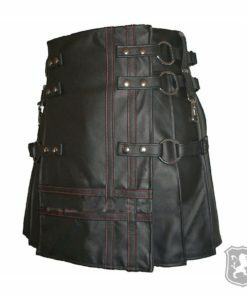 On the front of the kilt you will see that it has a perfectly stitched apron made out of black color. 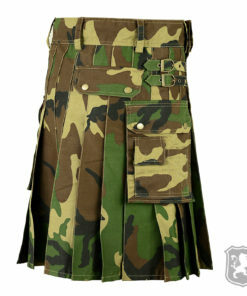 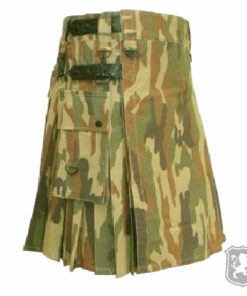 This kilt has belt holders which gives you an option to wear it with belts or not. 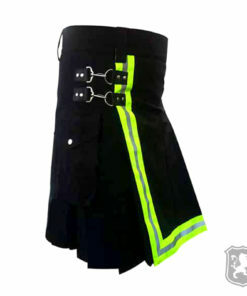 Each belt holder has a chromatic hook attached to it which you can use to attach or detach chains. 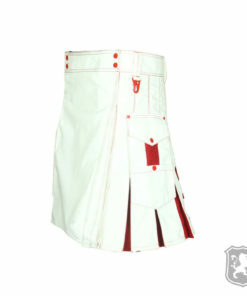 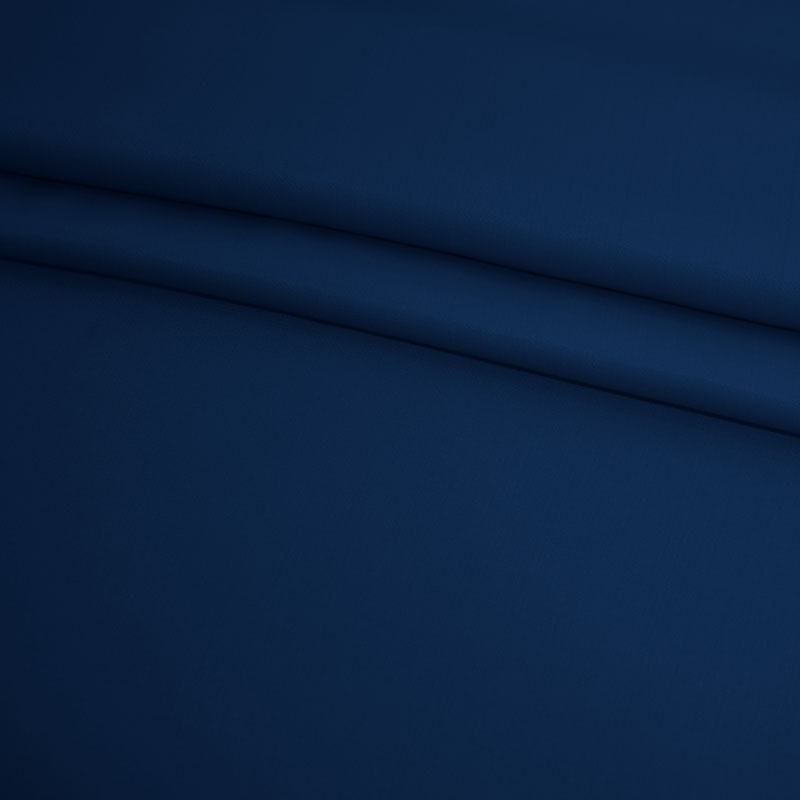 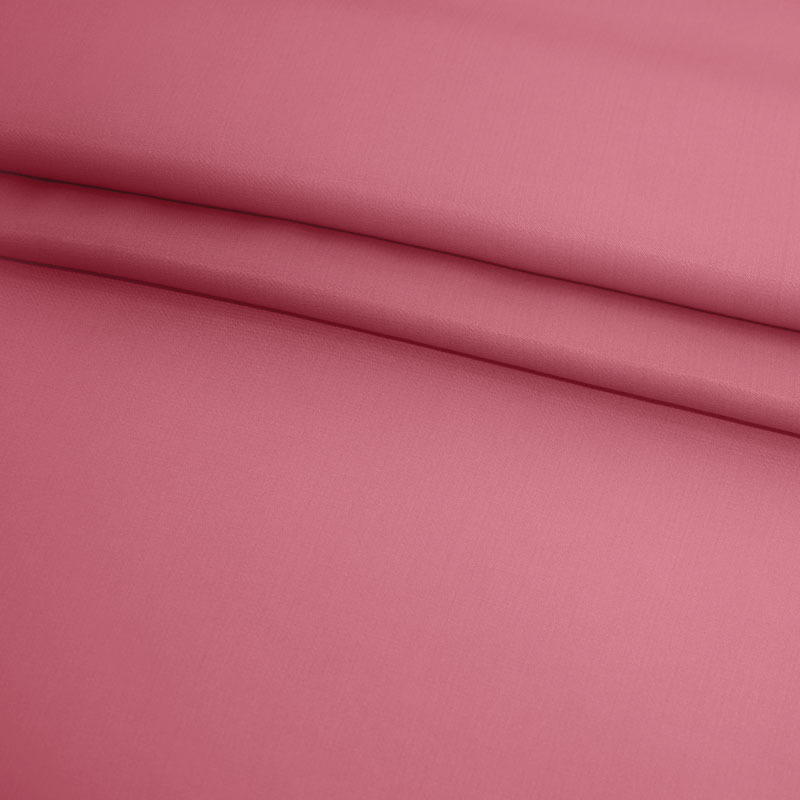 On the side, it has two large flap pockets in which you can store pretty much all of your necessary stuff. 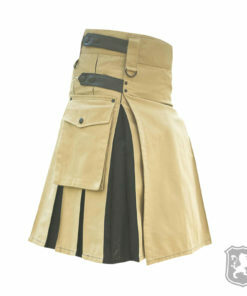 The flap of the pockets have black button embedded on them for decoration purposes only. 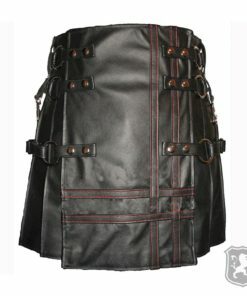 It also has two leather straps given for proper adjustment of the kilt. 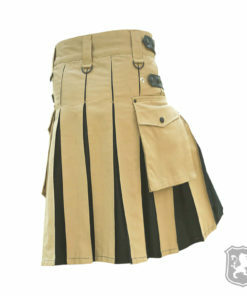 Great kilt, fits well, and very durable. 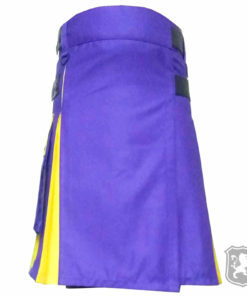 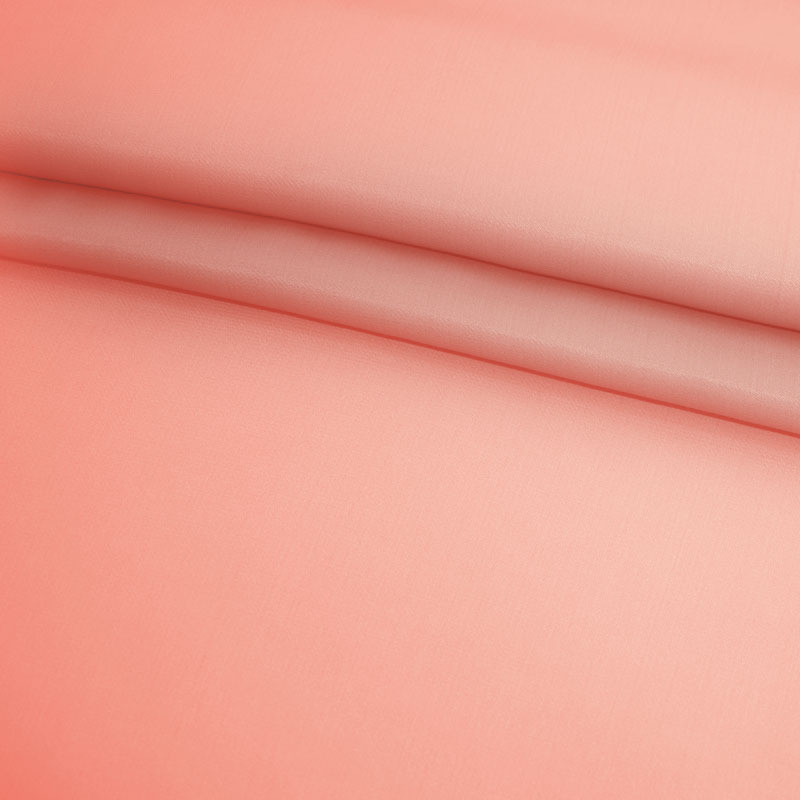 More than happy with the quality and order turn around time.